Obituary for Marlene R. Hackstaff | Drinkwine Family Mortuary, Inc.
Marlene Ruth (Quinnild) Hackstaff of metro Denver, Colorado is survived by her children Julia Hackstaff Cooley, Edward and Sheena Hackstaff, and Carol Hackstaff Thomas; grandchildren Sabrina and Aaron, Rebecca and Jake, and Marcus; and great grandchildren Josephyine, Skye, and Evan. Her husband, Dale, preceded her in death. Marlene will join Dale at Fort Logan National Cemetery. Memorial service will be held Thursday, November 1, at 12:30. Following the memorial service there will be an open house reception at the home of Eddie and Sheena’s. In lieu of flowers please consider donating to Marlene’s favorite charities: Christian Living Communities, Colorado Talking Books, or Rocky Mountain PBS. Marlene lived a very full life. She was a loving, caring, and compassionate mother and friend. She was a tremendous listener and made friends easily. She loved watching sports, especially baseball, golf, and football, and cheering on the Broncos, Vikings, Rockies, and Twins. Marlene lived most of her adult life in the Denver metro area, but she grew up in Moorhead, Minnesota. Born to Alvin and Agnes (Oftedahl) Quinnild in 1934 she was an only child, consequently she spent a lot of time and became very close with her cousins. She had many very close life-long friends and continued to make new friends throughout her life. She loved dogs and had a couple very special ones in her life, including Rusty and Barney. Much of her childhood was spent on the Quinnild family farm with Aunt Helen, and Uncles Gust and Peter. She loved telling us stories from her time there including her love of sitting on the steps of the homestead house. Her father and Uncle Gust took Mom fishing from a young age, which she loved doing throughout her life. On the boat with them, the Twins were always on the radio, which is where she picked up her love of baseball. She was a great Norwegian fisher“wo”man that put fear in fish but wasn’t fond of eating them. Both Mom and Dad loved fishing at the lake in Minnesota and in the rivers of Colorado. She almost always caught more fish than Dad. Throughout high school, Mom was in the marching band, playing the clarinet, and participated in many other activities. She lettered in marching band and she loved to wear her orange letter sweater for Bronco games. Mom decided at a young age that she wanted to be a nurse. 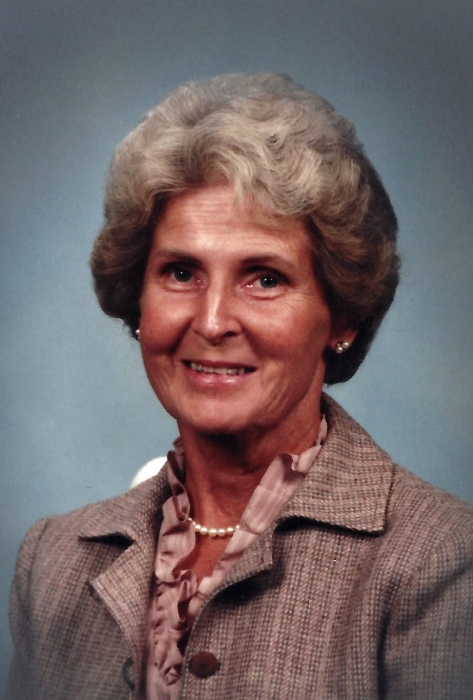 She started at St. Luke’s School of Nursing, Fargo, in September 1952 and graduated in August 1955. Her nurse’s training included several months working at Cook County Hospital in Chicago, which was an “adventure” for a small town girl. She was very proud of being a Registered Nurse (RN). Although she didn’t continue to work after Juli was born, she continued to volunteer at Ridge Home (home for severely disabled people), Swedish Hospital, and 9Health Fairs. Marlene met Dale on a blind date, April 28th, 1956. It was quite a memorable date which started at a bar on Lookout Mountain, the quick rescue of someone who’d driven off the side of the Lookout Mountain road, and finally to Pagliacci’s (a well-known long time restaurant in Denver). While they dated, Marlene worked the night shift as a nurse at Colorado General. This meant that Dale would be up very late, take her home, and head straight to work. He must have really liked her a lot! They were married just seven months later, November 17, in Minnesota. Never could figure out why anyone would pick Minnesota over Colorado in November, but there you go. They were married almost 60 years. One of our favorite memories of them is that they always held hands, and their last day together they were still doing that. The cottage in Minnesota was a huge part of our lives growing up. She was the center of the Minnesota family gatherings every summer and over time brought family together from farther afield. Some of our favorite memories include the July 4th celebrations, rides in the boat, and fishing with Mom and Dad. The cottage was one of her favorite places and she made it the home that it is for us. Every summer in Minnesota she spent time with her friends from both high school and nurse's training. Mom and Dad loved our Colorado mountains and spent a great deal of time hiking, camping, and fishing in them. They were able to do quite a bit of traveling. They traveled to Hawaii, New Orleans, Washington, California, Texas, New Mexico, Arizona, Mexico, Canada, Norway, Germany, France, and Belgium. Passionate about genealogy, she worked extensively on the history of the Hackstaff, Taussig, and Quinnild families, an important legacy that she has passed on to us. She taught us many important things during her time with us, which we will always treasure.